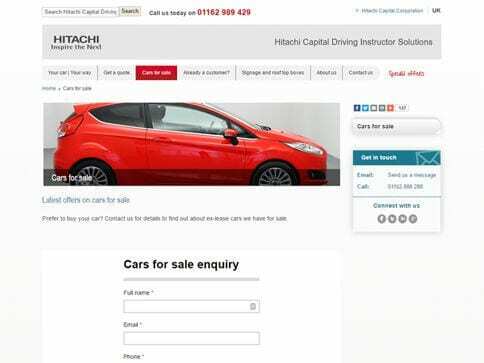 Hitachi Capital Driving Instructor Solutions (HCDIS) is a market leading supplier of new dual-controlled cars to approved driving instructors, provisional instructors and driving schools in the UK. HCDIS asked us to re-platform their old website into a responsive WordPress website. 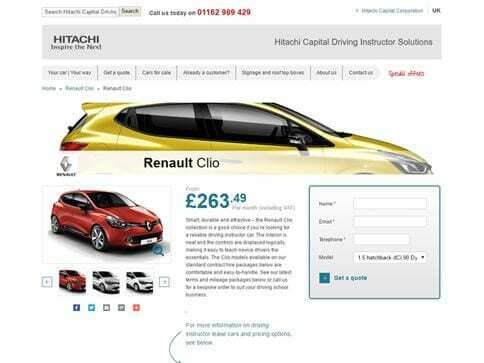 The primary objectives were to make the website mobile friendly, drive more leasing enquiries and enable customers to search for vehicles and see pricing options online. We delivered a bespoke responsive WordPress website adhering to their global brand guidelines and incorporating sophisticated vehicle configuration options using a combination of Custom field and post types to allow the HCDIS marketing team to create pricing tables and update the site as and when they need to.